A great big ‘Job Well Done’ to the Turkish Navy! 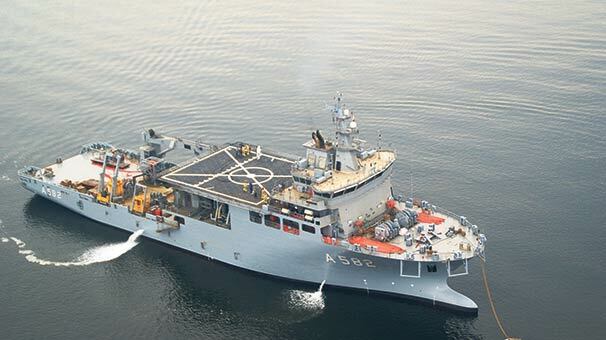 THE TURKISH NAVY ACCEPTED A BRAND NEW RESCUE SHIP. I couldn’t see the A-frame in the picture you published and also the Turkish Navy offical site. I should kindly ask that is it a disinformation? I watched every video and every picture published on web but couldn’t see. I think it worths to notice it on the main post. Somehow the ship commissioned without A Frame. What made the change? Maybe the plan changed and it is compatible with AS-28.